While sipping a drink on a quiet evening at Savvor, I noticed the bartender cracking an egg white into a shaker for a cocktail that, as far as I could tell, no one had ordered. “The other bartender and I were debating egg whites shaken with ice versus a dry shake,” she remarked offhandedly, “so we’re testing it out.” I don’t know which argument prevailed, but I do know genuine mixology nerdiness when I see it. And it usually translates into outstanding drinks. Such is indeed the case at Savvor, which opened this past February in a little corner of town where the Financial District bumps into Chinatown – the so-called Leather District. It occupies the space once inhabited by District, and while the layout may be familiar to those who frequented the now shuttered club (which breathlessly described itself with phrases like “dangerous sensuality” and “edgy yet inviting”), the atmosphere at Savvor is decidedly more approachable. That’s not hard in Savvor’s large, open space. Exposed brick walls, dark hardwood flooring, and an unusual color scheme of slate gray and pale blue contribute to a laid-back, unpretentious look and feel. Big blue booths and a couple of couches are ideal for sharing drinks with a small group of friends. A long dining room with a dozen or so tables offers a quieter, more intimate atmosphere. Best of all, instead of one long bar, there are two separate, eight-seat bars. “Nothing’s more annoying than having to wait for a drink,” Eddy says, reflecting what I imagine is a near-universal sentiment. “Here you’re nice and up close, you can talk to the bartender, you can see what you’re drinking,” he says, motioning to the impressive selection of craft spirits behind the bar. Neither bar tends to get overly crowded, and each feels cozy unto itself. Commanding my chosen bar on a recent Friday evening was the witty and engaging Kellyanne. The other bar was patrolled by Lee, whose iPhone provided an upbeat soundtrack of funk, R&B, and blues. The décor may be the most obvious difference between Savvor and District, but changes to the food menu and cocktail program are far more dramatic. Louisiana-inspired small plates with a splash of Caribbean flair dominate the dinner menu, and the drink list lovingly pays homage to the classics. The cocktail menu is arranged by type of spirit and highlights the top-shelf brands employed in the drinks. Some of the recipes are appropriately simple and authentic. The Sazerac is a strict interpretation of the venerable New Orleans cocktail, faithfully prepared with Herbsaint, muddled sugar cubes, Peychaud’s bitters, and Michter’s rye. The Pisco Sour is similarly straightforward. With Macchu pisco, simple syrup, lemon juice, and egg white, it’s just the right balance of sweetness, creaminess, and tang. But the staff gets creative with other throwback cocktails. “We’re definitely trying to re-imagine things,” Eddy explains. That’s evident with the Kentucky Corpse Reviver, recommended to me by Kellyanne. “It makes me think of sitting on a big wraparound porch, talking about kids these days,” she notes wistfully. 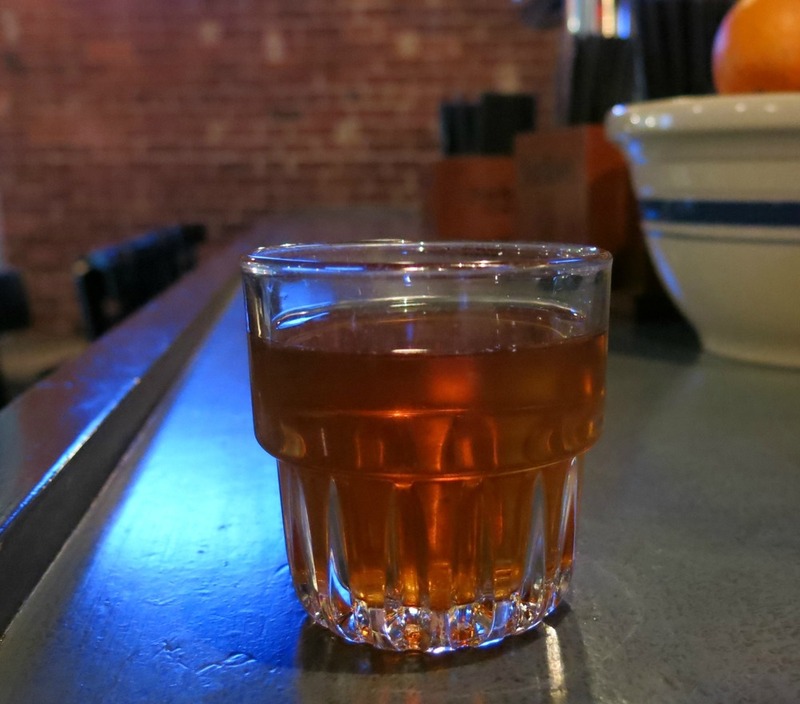 It’s an apt description for this potent, slow-sipping mix of Bulleit bourbon, Grand Marnier, and dry vermouth. A lemon twist finishes this splendid cocktail with zesty notes of citrus. The Martinez has yet to enjoy the resurgence that similar drinks like the Negroni have experienced, but it seems poised for rediscovery. “Old Tom,” a softer, sweeter style of gin that fell out of favor in the mid-20th century, is the traditional choice for this faded classic. Savvor uses Ransom Old Tom, a barrel-aged variety that’s noticeably darker in complexion than the typical gin. It’s surprisingly drinkable on its own, with whiskey-like notes of oak alongside the signature flavor of juniper. Combined with Punt E Mes, maraschino liqueur, and orange bitters, it’s outstanding – robust but nicely balanced, with a little citrus to smooth things out. The more appropriate question may be, which island do you want to visit first. 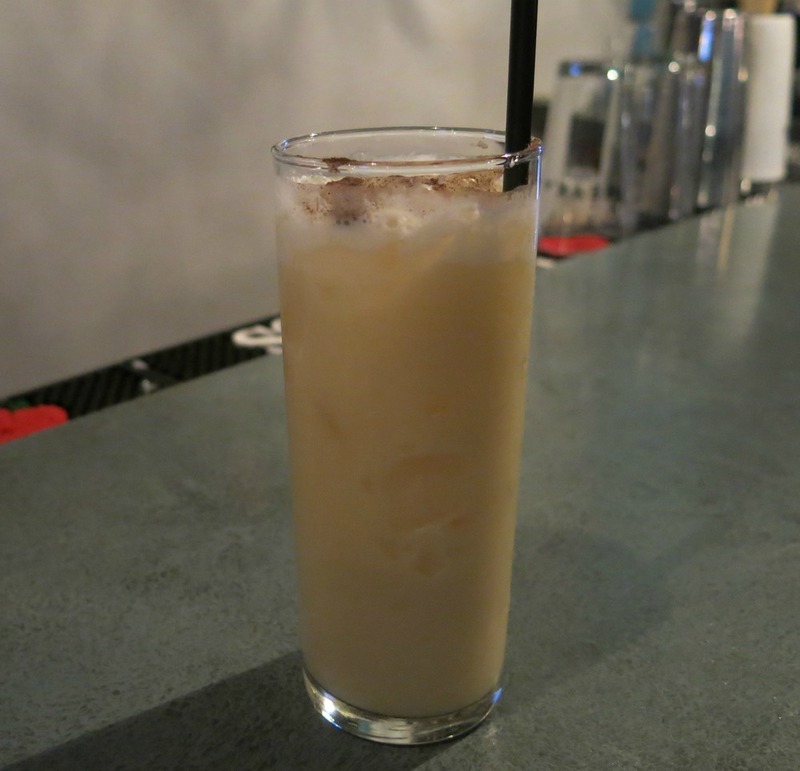 The Painkiller, which Lee says is one of the bar’s most popular selections, is made with Barbados’s Mount Gay Black Barrel rum, pineapple, orange juice, and a thick coconut cream. A dusting of nutmeg adds an aromatic touch. Ti Punch is kind of like the daiquiri’s French-Caribbean cousin. 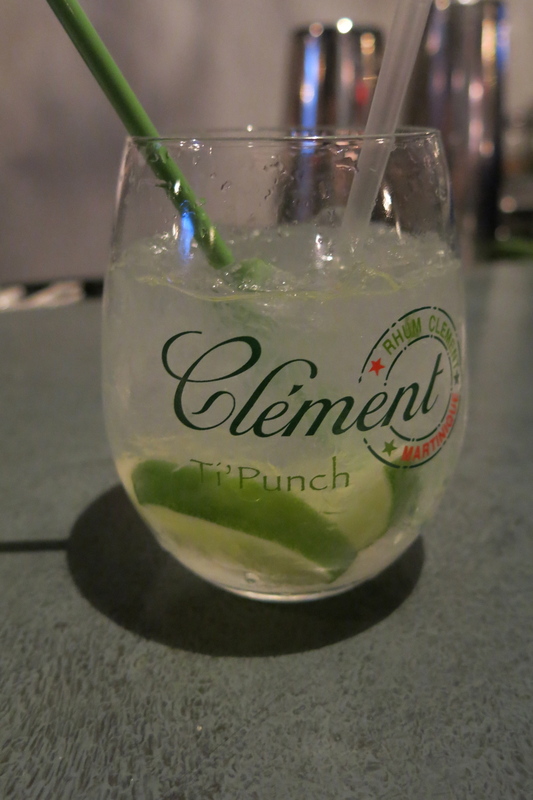 Savvor’s version channels the spirit of Martinique with Clement Premiere Canne Agricole (a rum made from sugar cane juice instead of molasses), spiced sugar cane syrup, and fresh lime juice. The Grilled Pineapple Daiquiri offers a few unexpected twists on the Cuban favorite. Locally distilled Bully Boy white rum, its principal component, is drier and more complex than most rums. Combined with lime juice, pineapple syrup, and Angostura bitters, it makes for a fruity but unusually dry tropical cocktail. A grilled pineapple garnish provides a sweet and smoky essence up front. Crispy plantain chips, with a sweet, earthy banana flavor, are accompanied by a rich aioli seasoned with cinnamon, coriander, and cumin. The BBQ cracklins are easily the most novel entry on the snack menu. After being boiled and deep-fried, these slices of pork fat become airy, crunchy, and amusingly unwieldy. They’re fun to eat, though the seasoning is reminiscent of BBQ potato chips and would benefit from a little more complexity. As conspicuous as the cracklins may be, it’s the crawfish hushpuppies that truly steal the show. Served with a delicious, spicy dip, these deep-fried balls of cornmeal are soft, savory, and perfectly crispy on the outside. The snacks are great for sharing and come in surprisingly generous portions. And from what I can tell, the “small” plates are anything but. “From the Larder,” a glorious platter of meat, features a substantial helping of Tripp’s country ham, a smoky duck prosciutto, and goat terrine. A salty and savory dish like that might work best with a beer, and Savvor’s draft selection is small but thoughtful. Local microbrews by Clown Shoes, Slumbrew, and Pretty Things share space with Anchor Steam and the timeless PBR. In case you’re wondering, Clown Shoes’ imperial IPA, “Galactica,” is named for its use of Galaxy hops – not for Battlestar Galactica. Apparently. Since I was duly impressed with the drinks and found Kellyanne’s recommendations to be helpful, I couldn’t resist asking if she’d whip up something wholly original before I left. She appeared to take my request to heart, contemplating various spirits, perusing fresh ingredients and mixers, and occasionally muttering “What can I make for Matthew…” The result? A return trip to the Caribbean. Combining Haiti’s Barbancourt rum, egg white, lemon juice, and simple syrup, this rich, creamy cocktail had notes of vanilla and a hint of tartness. Kellyanne dubbed her invention a Barbancourt Sour, and while she cautioned me that she’d never tried the recipe before, her experimentation paid off in decadent fashion. And that seems entirely befitting of Savvor’s adventurous spirit. “We’re all about taking chances,” Eddy proclaims. “Being risky.” To be sure, there’s a certain boldness to Savvor’s approach. Both the dinner menu and drink list have their share of curveballs. But that means opportunity. 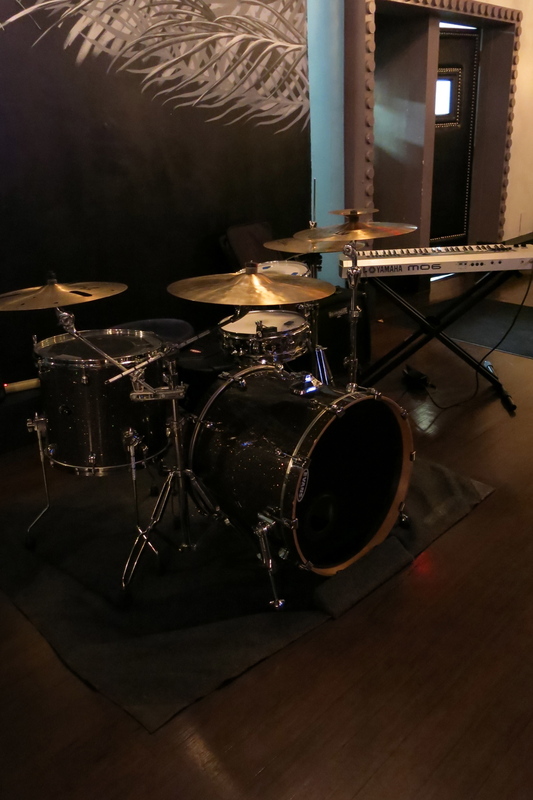 The neighborhood could use a good cocktail bar, and Savvor also hosts live music four nights a week. It might be a far cry from the “aggressive design” and “exotic tone” of District (I’m not making this up, it’s on their still-functioning website), but an approachable place with a casual vibe is a welcome addition to any neighborhood.